Please note: When using this facility to search for a property, the original name of the cadastral municipality should be used. 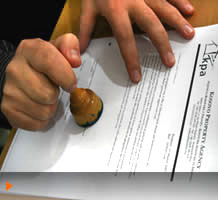 KPA records are based on information provided when the claim was submitted and therefore do not reflect changes resulting from the establishment of any new municipalities in Kosovo. Pursuant to Article 21, paragraphs 1 and 2 of the Law No. 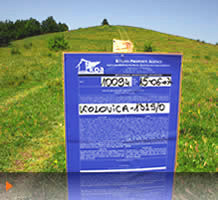 05/L-010 on KPCVA, the authority to administer residential, commercial and agricultural properties previously under the authority of the Housing and Property Directorate (HPD) and the Kosovo Property Agency (KPA), was transferred to the Kosovo Property Comparison and Verification Agency (KPCVA). This administration, according to the Law was limited to 18 May 2018. However, upon recommendations of the Ombudsperson No.551/2017, requesting to extend the legal deadline for the property administration, the Government of Kosovo has adopted a Concept-Paper for amending and supplementing the Law on the Agency. 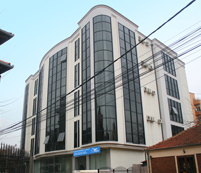 Since the amending and supplementing of the Law on the Agency is in process, the Agency in compliance with the applicable rules and legal provisions, and on the base of recommendation of Ombudsman starting from 18 May 2018 SHALL SUSPEND the process of administration of properties and the Rental Scheme. 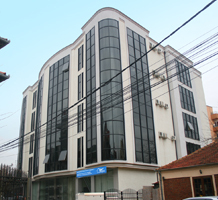 This SUSPENSION is temporary and does not necessarily mean the end of administration, but it will apply until the Law on the Agency is amended and supplemented, which stipulates the extension of the deadline for property administration by the Agency. We hereby inform you that successful claimants are entitled to request repossession of property at any time, by notifying the Agency in writing. This SUSPENSION notice applies until another decision is issued. The KPCVA remains committed to guarantee and protect the property rights of all Kosovo citizens without any distinction.